Manual access barriers can be installed to cover roads and entrances up to 7 metres across. The aluminium arm can be finished in either red and white or yellow and black vinyl hatching. However, additional bespoke colour schemes can be provided upon request. 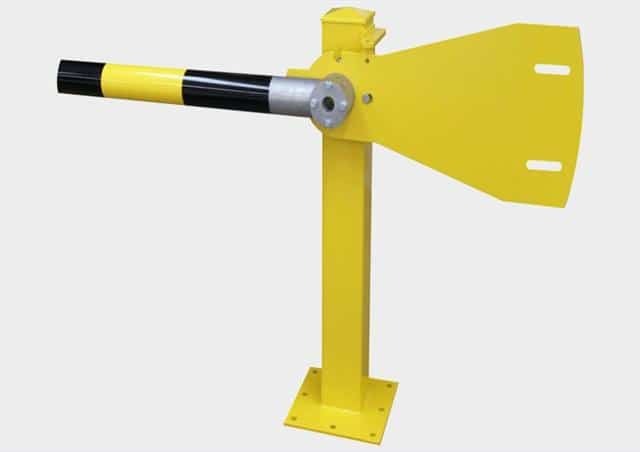 As well, additional stop and no entry signs can be attached to the barrier for you prior to installation and a folding bottom skirt can also be attached to provide extra security and deterrent against unauthorised entry to your car park or business premises. The barriers contain a spring-loaded locking system enabling them your authorised personnel to padlock them in a raised or lowered position. The manual barrier is designed to be secured with M16 anchor shield bolts, meaning that no additional mounting plate is required. The barrier is also supplied with a locking end rest, padlock and keys.